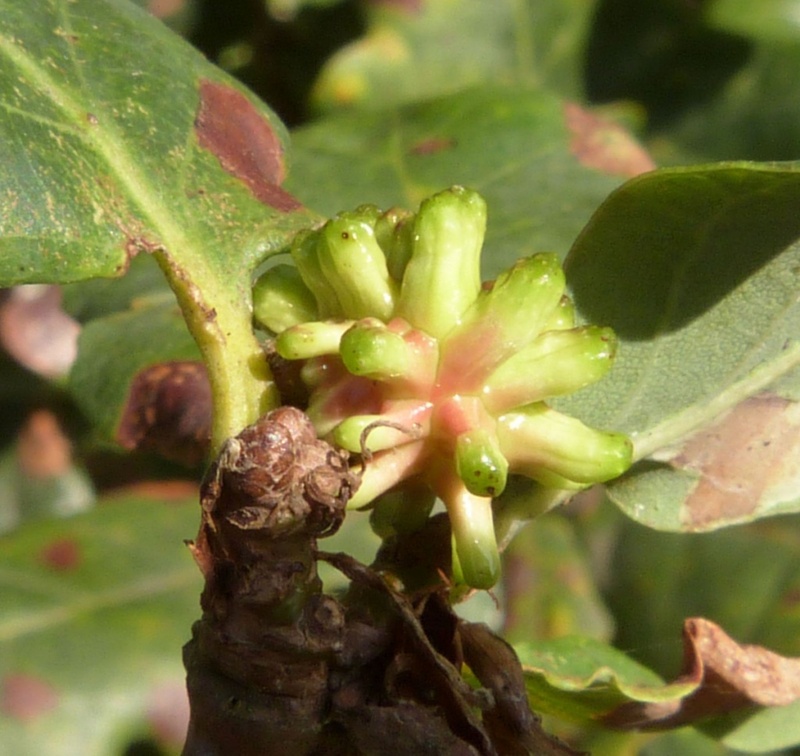 Andricus grossulariae is a gall wasp that causes two types of gall to be formed on Oak (see Life History). 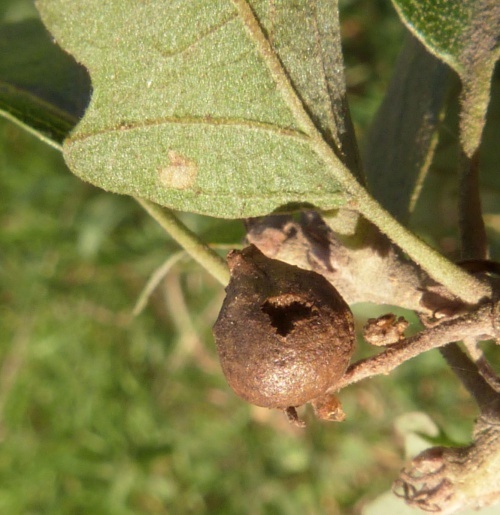 It is a member of the Cynipidae family together with many other gall-causing wasps. 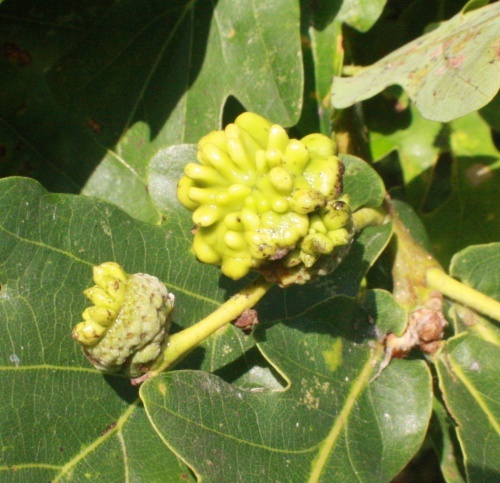 Around the host Oak trees. 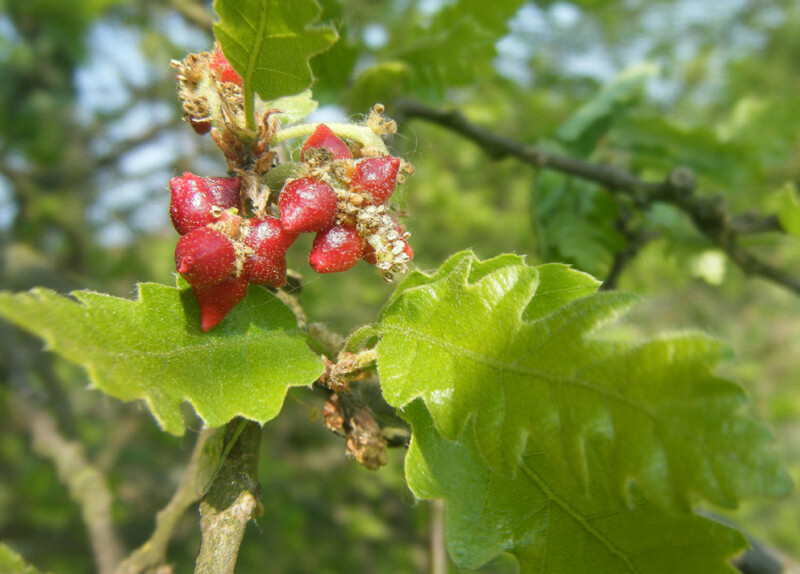 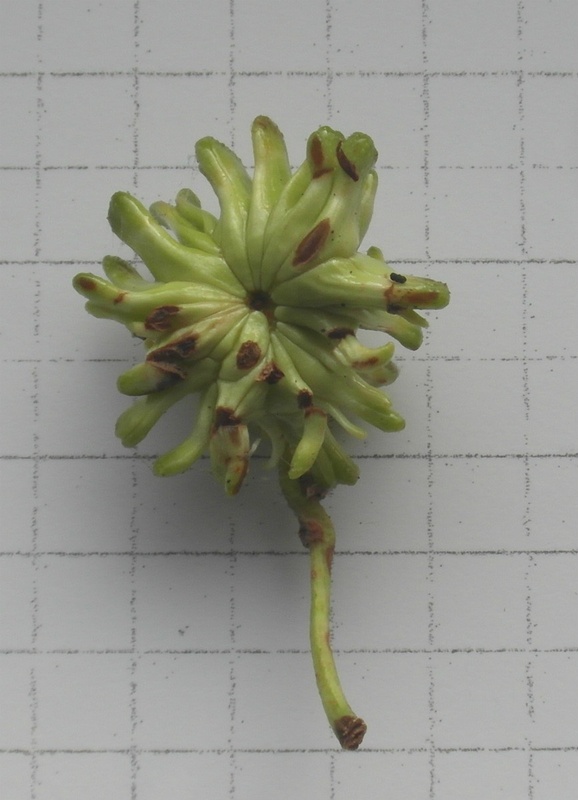 Andricus grossulariae causes two versions of gall to be formed on Oak. 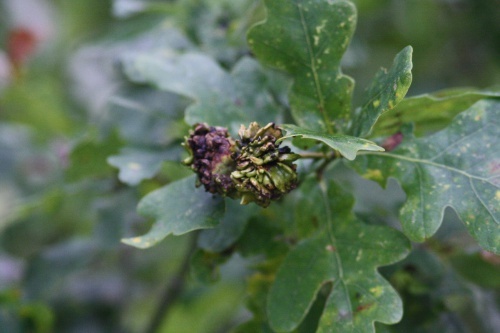 In spring, galls are caused by the sexual generation on the catkins of Turkey Oak and these contain bisexual grubs. 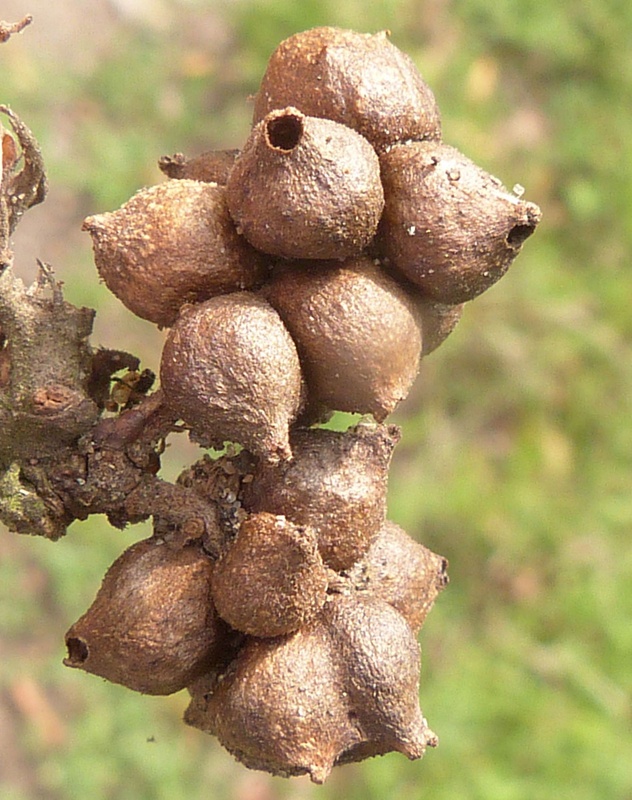 These galls only grow to about 6 mm and appear shaped like pointed peas. 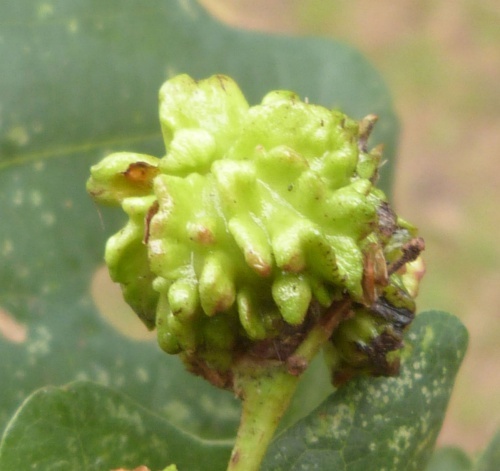 In late summer and autumn, galls are formed on the acorn cups of Pendunculate Oak and Sessile Oak, and will contain asexual grubs and are much larger and more contorted in shape. 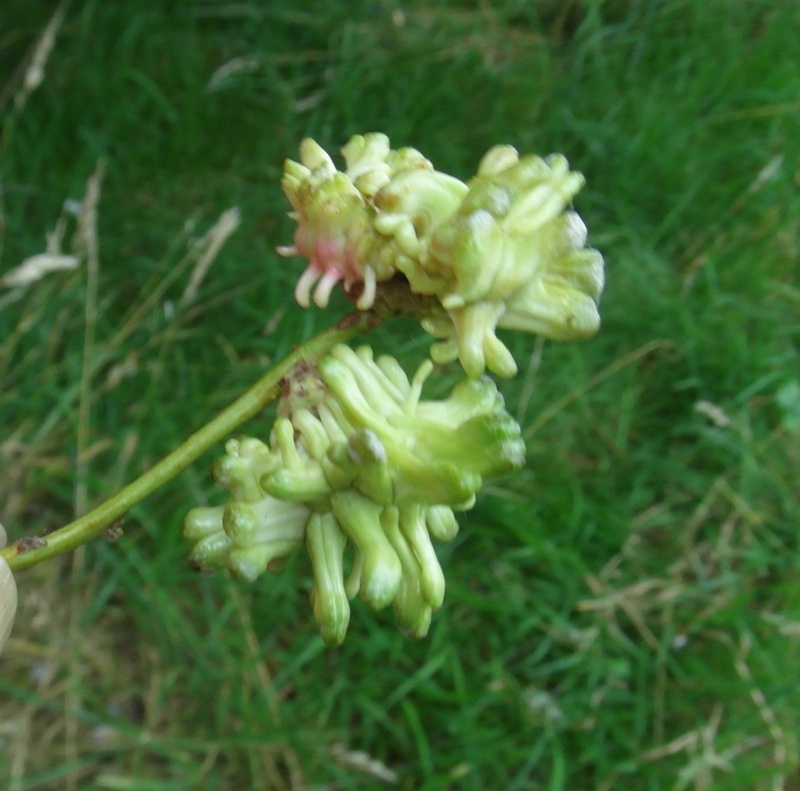 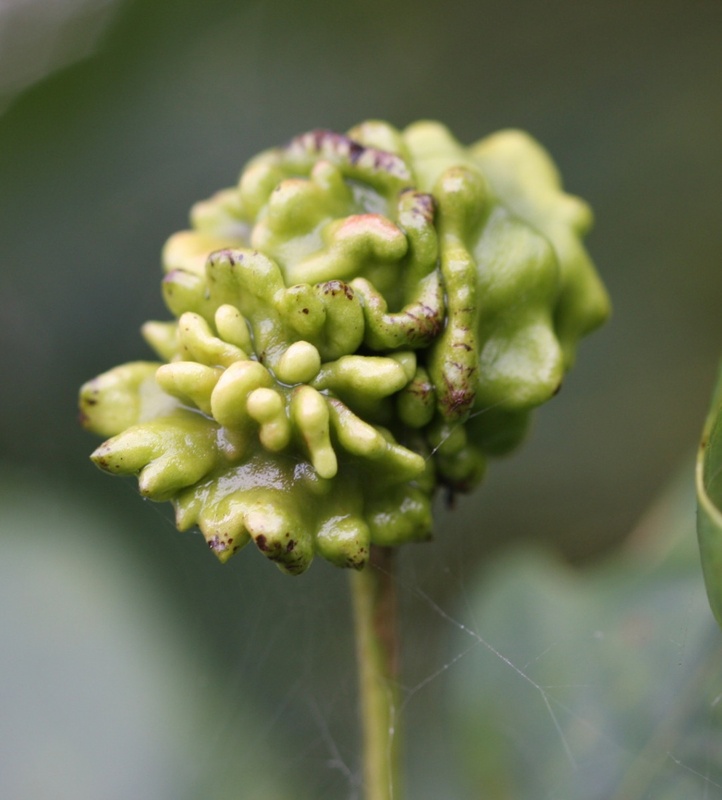 In both cases the galls first appear pink in colour and as they mature they turn red, then green and finally brown. 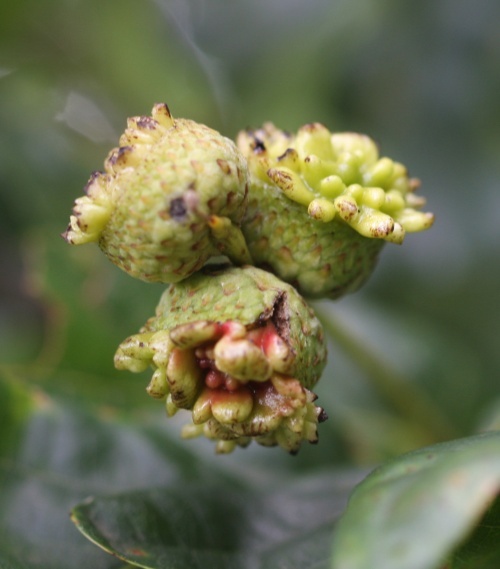 Arrived in Britain around the year 2000 and now spreading northwards. Only recently arrived in Leicestershire and Rutland.